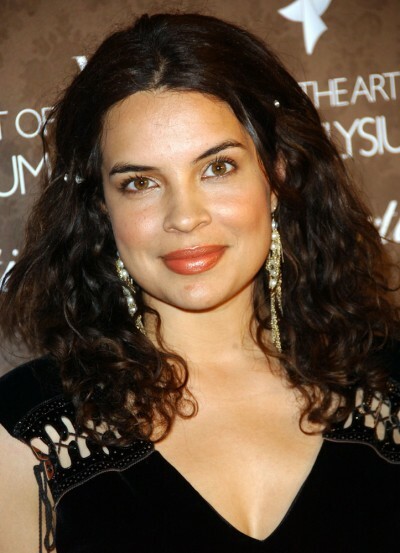 Zuleikha Robinson is a British actress and singer. Her father is English and her mother is of Indian descent. She was brought up in Thailand and Malaysia. She may also have Iranian and Scottish roots on her father’s side. She has said: “My grandparents were Indians and they were based in Burma. But they had to leave the country and my mother was born in India”. Her name, Zuleikha, means “someone beautiful” in Persian. Her diverse background has allowed her to play various ethnic roles, ranging from Bengali to Middle Eastern to Latino. Mother’s maiden name is “Ahmed”. I just cannot place her but she’s really attractive. And had a great figure before she lost the weight. Very diverse background and looking woman. She looks more of an African American mix with European than Indian to me.